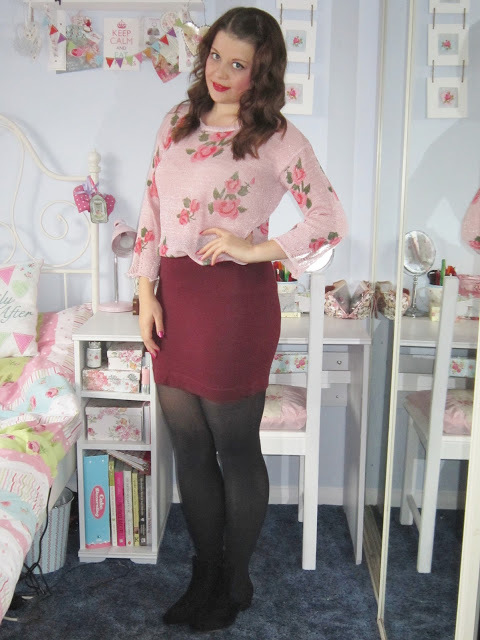 I’d seen this rose print sweater on a few bloggers over a few months, and although it was sold out in cream which I wanted, I decided to pick it in pink instead. It has metallic threads throughout, and a shredded hemline and sleeves. Personally I’m not too keen on the shredded clothing look, but tucked in you can’t notice it. I love the cute rose print on it, and it has a lovely fit too! It comes in one size only, and it retails for £19. Next up is this vintage style shoulder bag. I love this bag, it’s a perfect everyday handbag. It’s quite spacious inside, and it has a little pocket on the outside too. It has a cute gold buckle, although the bag is actually fastened by a magnetic clasp. I will be getting lots of use out of this! It sells for £24 though, a bit pricey maybe. This lip print sweater is really nice and warm and finely knitted. It’s a lovely quality, and it has embroidered lips all over! It comes in one size only, but it would probably best fit a UK size 10. However, it costs £40! 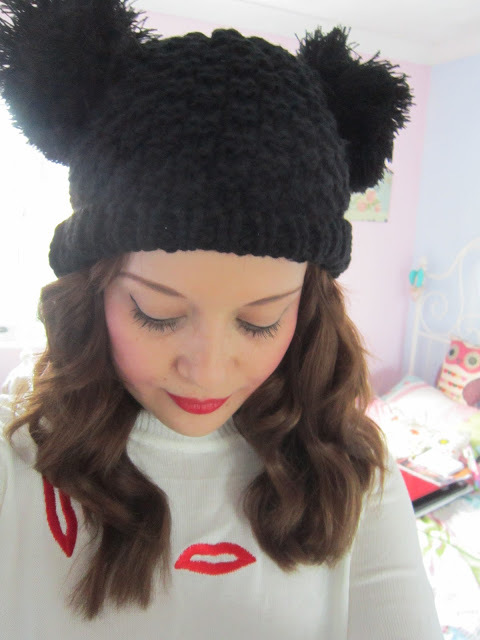 Finally, a hilarious Mickey Mouse style knitted bobble hat! This was too cute not to add to my basket! This costs £12 which is quite reasonable, and it would make a funny gift for any Disney lover! If you’re looking for the best beanies for running,you can read more about this. Gorgeous picks, i love the pink rose jumper and that hat is so cute! Love the top with the lips print very cute! 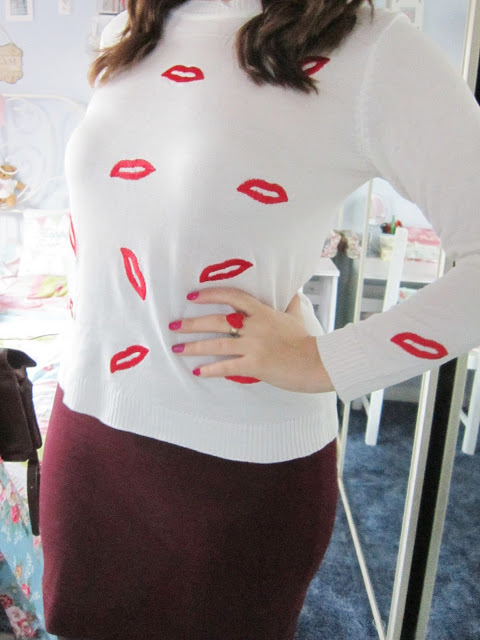 Oh such a lovely "Kiss me darling" sweater:) Would like to know, whether you'll like to visit my blog too:)? I also like the vintage flair and I'm a girly girl but not too much – love the good combination.